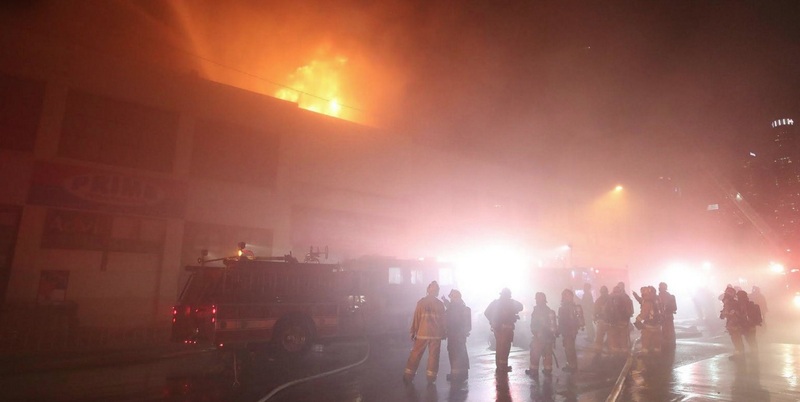 Fire engulfed a two-story commercial building in downtown Los Angeles on Monday night, causing gas cylinders inside to explode and forcing firefighters to battle the flames from a distance. 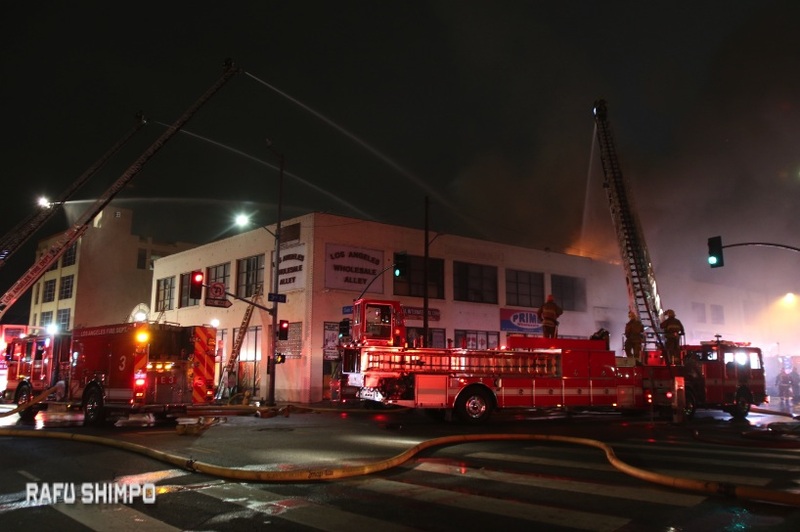 Firefighters declared a knockdown at 10:14 p.m., a little more than two hours after the fire was reported at 8:10 p.m. at a wholesale distributor of smoking materials called SmokeTokes, at 330 E. Third St., near San Pedro Street, according to Brian Humphrey of the Los Angeles Fire Department. The building is across the street from the Teramachi Homes condominium building, Casa Heiwa low-income housing, and Little Tokyo Service Center. 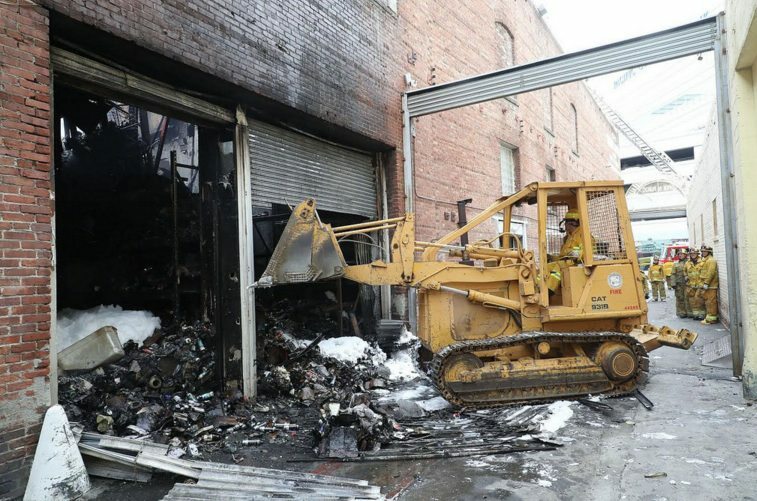 More than 160 firefighters responded to what Humphrey called a “stubborn blaze” that caused heavy damage to the 100-year-old, 13,822-square-foot building. Fire trucks and other emergency vehicles filled Third and San Pedro streets. 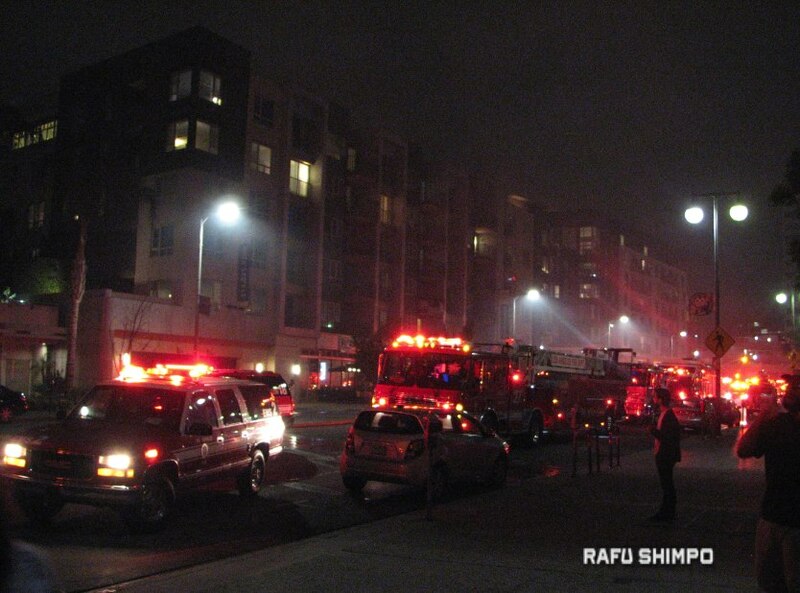 No injuries were reported and there were no evacuations. 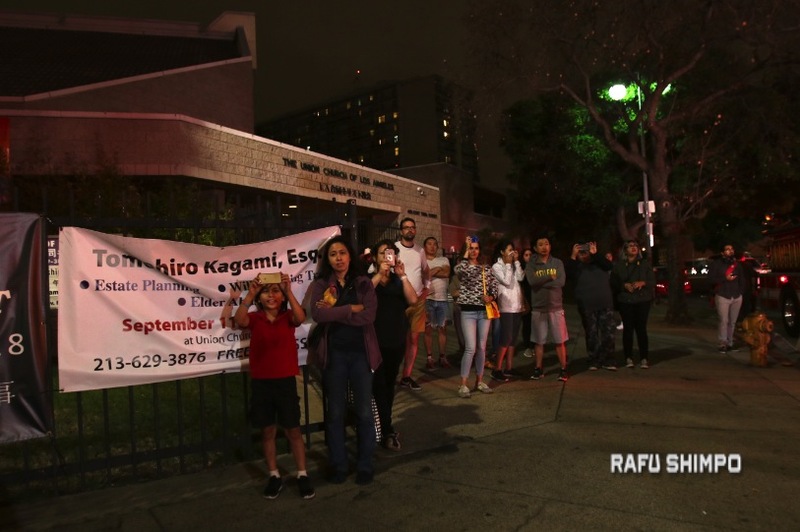 Third Street was blocked to traffic and pedestrians as far east as Little Tokyo Towers, but people were able to gather in front of the Japanese American Cultural and Community Center on San Pedro Street. Flames were still visible around 9:30 p.m., but smoke came billowing out as firefighters gained the upper hand. The loss and cause are still to be determined, according to Humphrey. 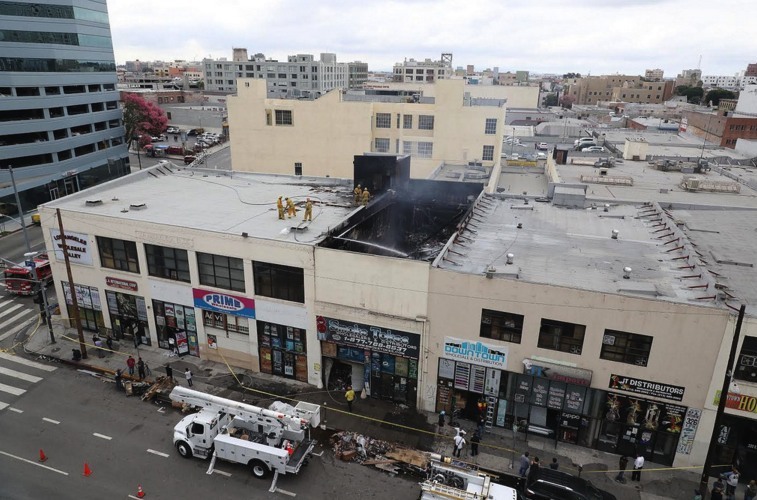 Firefighters were expected to remain at the scene until early Tuesday morning. 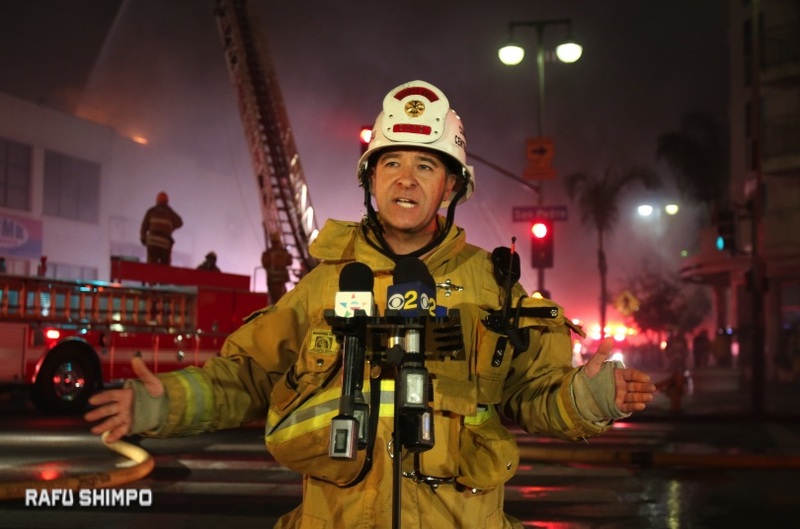 Motorists were advised to avoid the immediate area and expect delays and closure of one or more lanes on San Pedro and Third streets until LAFD operations were complete.